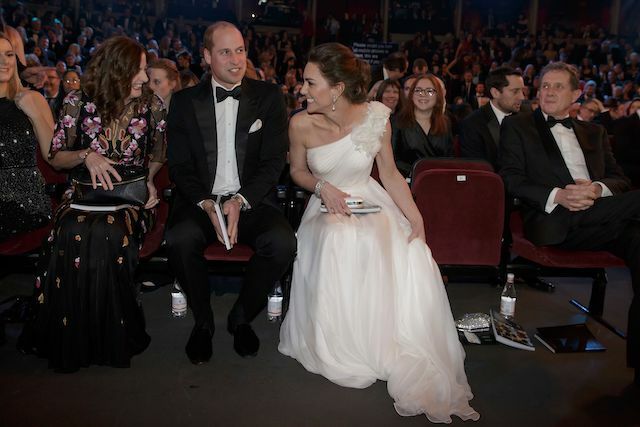 Kate Middleton definitely turned heads Sunday night when she showed up wearing a white one-shoulder gown to the British Academy Film Awards in London. She completed the gorgeous look with her hair pulled back into a low bun, metallic silver shoes and a pair of diamond earrings, once owned by Princess Diana, per the Hollywood Reporter. Paying tribute to her late mother-in-law is something Middleton does often at events throughout the year. The dress was truly stunning whether it was viewed from the front or the back as the Duchess once again showed off her incredible fashion sense. Judging by the pictures, a good time was had by all.